Soothe plantar fasciitis with arch support in a discreet design. 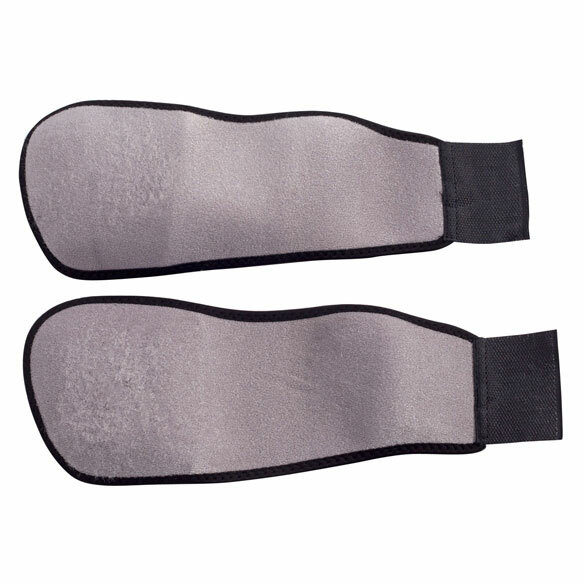 Adjustable compression arch support wrap hugs your arch with 2 hook-and-loop straps for custom comfort. 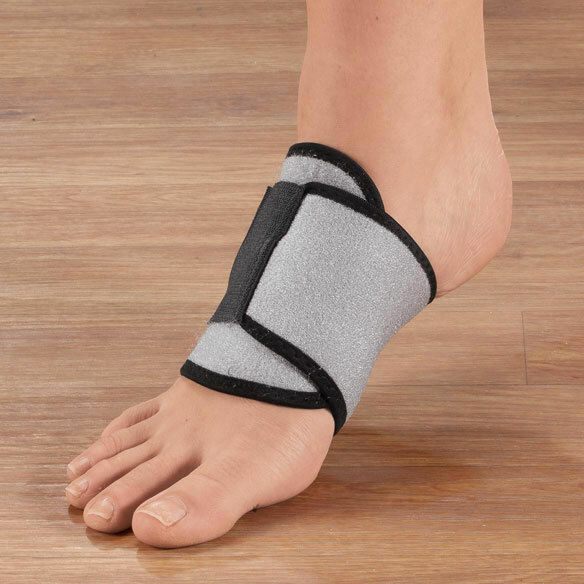 As it provides upward support and compression, the foot wrap can help reduce overpronation and overstretching of the plantar fascia that can cause sharp heel pain. Thin enough to wear inside a sock. 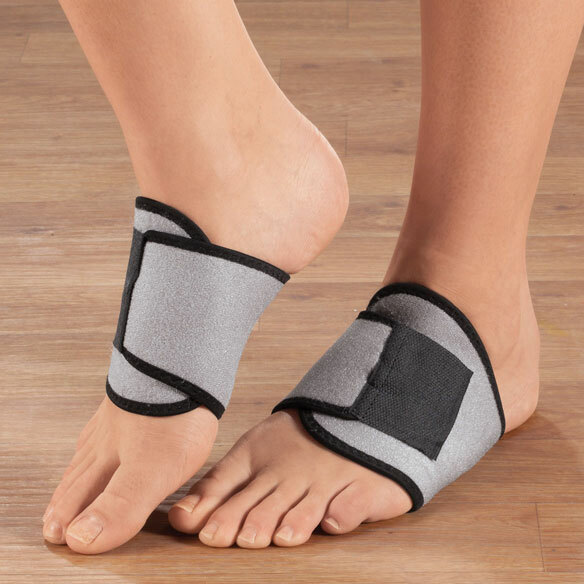 Plantar fasciitis brace complements most men’s and women’s footwear and its soft, seamless design won’t irritate skin. Each fits right or left foot. The compression arch support works really well. I had a lot of pain in my feet and the support helped ease the pain .... walking or laying down. Need relief. This item may help. My youngest daughter told me that she has Plantar Fascilitis. She does not have anything like this and I thought it would help her. Hoping this will help over pronation problem. Seems more logical then continual application of tape. Sometimes my arches fall and are very painful. Need support for middle if foot. You don't carrie the elastic ones that I used to purchase so I am trying these. I wish you you would get the other ones back again. To see if they give me extra support. I have a dropped arch. For my daughter to try she has foot issues. I am in need of preserving my feet, iam 59 yrs. old. Just wanted to see if it would really works as described. I already have one of these and it works so well, I was looking for more so that I can have spares. Until I found this site, the only place I saw to purchase these was from the UK. I was happy to find them here. I have fallen several times due to falling arches. am suffering with plantar fasiitiss but have trouble bending and reaching my feet. This devise looks like I will be able to mange better -- perhaps with a "grabber". I have used these before because of flat feet and wore them out. They were really good for my non-existing arches. Am hopeful these supports will help with my arch pain. Price is good, also. My feet are very painful especially at night after I have been on them for a lot of the day. I am hoping that the support will help me. Hope this helps with the plantar fasciitis. My arches hurt in the evening so I wanted to wear them to bed. I am flat footer and need arch support. Hoping that it works on husbands foot pain. I ordered a pair of these before for my son and they helped him a lot. He wore them all the time until the velcro wore out so he needs a new pair. Have bought similar item before and it worked.